In Asia she was made of rice stalks, in Europe, of wheat, barley or other grain, in Africa of millet, in the Americas of Corn. This Corn Mother is a Native American Huichol Corn Dolly. Corn Mothers like her were made of corn husks and ornamented with beads, and another token of prosperity. The Huichol Indians of Mexico and the southwestern US are descended from the Aztecs and are known as healers. Abundance and sustenance were of primary importance to ancient people, as it is today. To ensure bountiful crops they fashioned a Goddess figure (dolly) from the harvested crop and saved and honored it over the winter months, and in the spring they planted it in the earth to ensure another bountiful harvest. It was in this way that the cycle of seasons remained a continues unbroken circle of abundance, ensuring survival for the people. Living in the presence of a Corn Mother is a constant reminder of the blessings we receive daily and the unbroken connection we have with our most ancient ancestors. It is through their cultivation of abundance that we were given life. In any earth-based faith, we find a reverence for observations of the earth’s cycles. 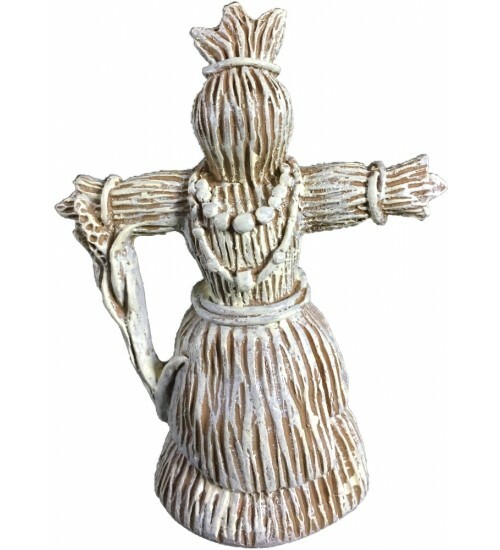 Made from grain stalks, the Corn Dolly often was the image of the Goddess in rural European festivals. 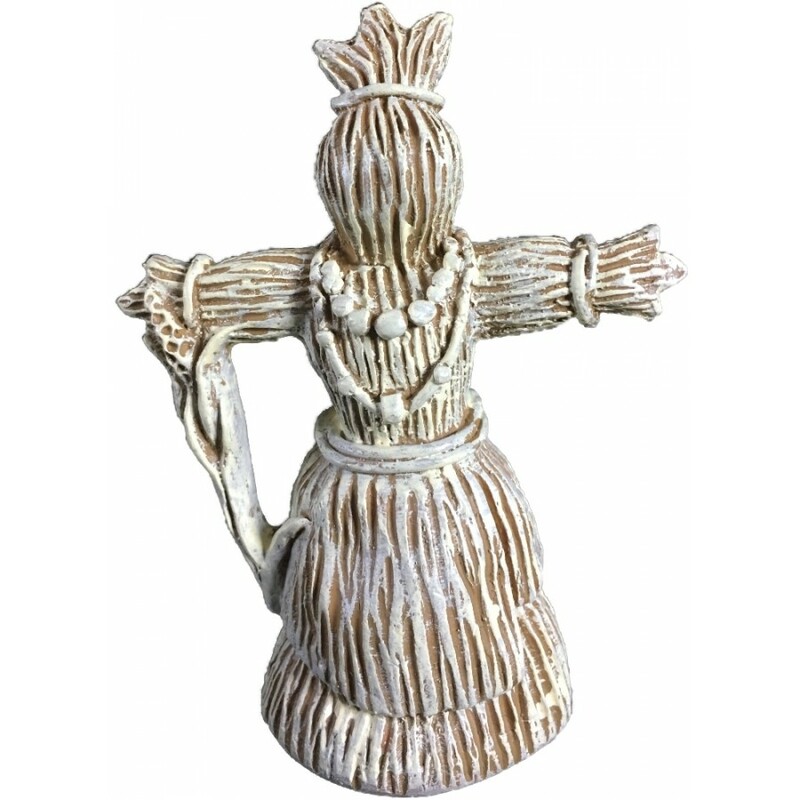 This statue is perfect to grace any altar to portray knowledge of and respect for the wheel of the year. Here is a corn dolly ready to be used year after year. This lovely statue by artist Abby Willowroot is 4 3/4 inches tall in handpainted resin. Item Number: SS-CDM | Approximate Size (Inches): 3.00 wide x 2.25 deep x 4.75 high | Approximate Shipping Weight: 1.00 lbs. 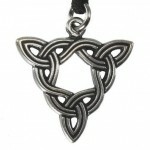 Original design by artist Chris Bennett Brigid's Knot is named after the..